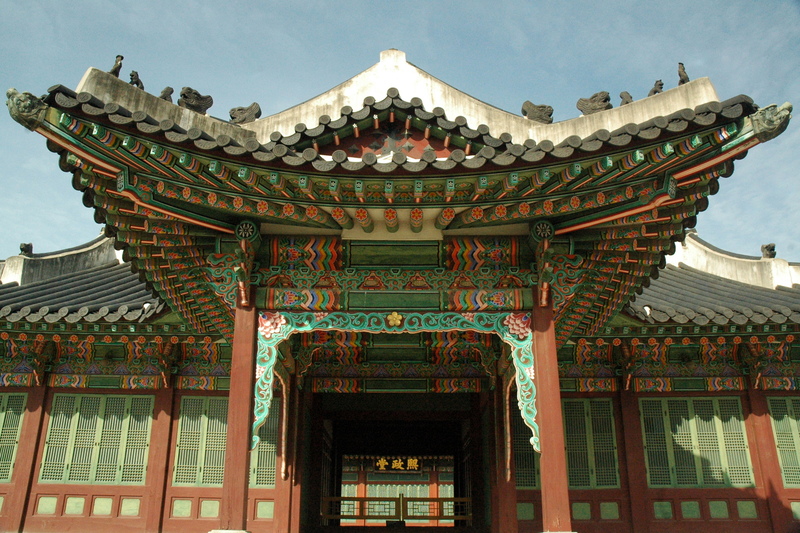 Built as the secondary palace of the Joseon Dynasty in 1405, Changdeokgung (창덕궁) was established by King Taejong, father of Sejong the Great. 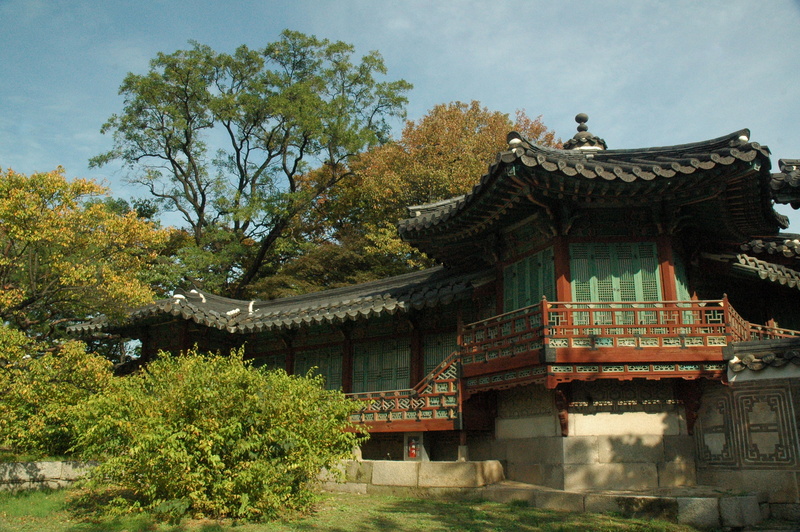 Taejong, who assassinated his half-brothers and Prime Minister Jeong Do-jeon in Gyeongbokgung, was unwilling to live in the main palace. During the 1592 Japanese invasion, most everything was destroyed. 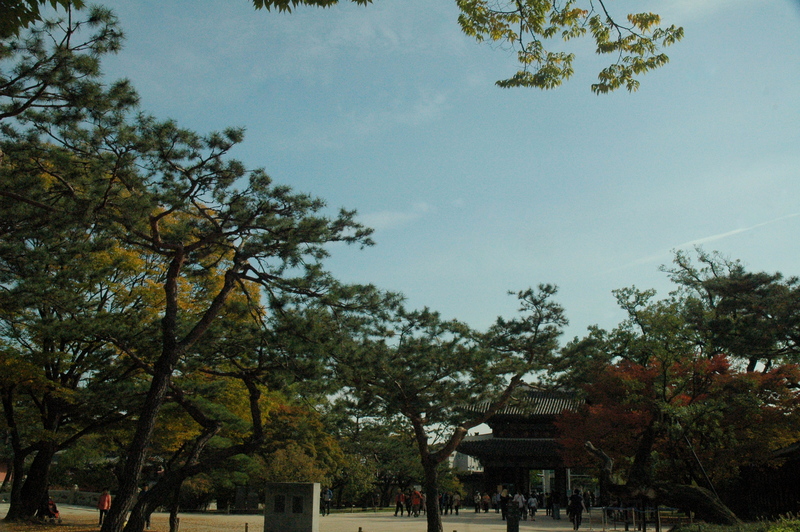 Although Gyeongbokgung would not be rebuilt until 1867, Changdeokgung was reconstructed in 1610. 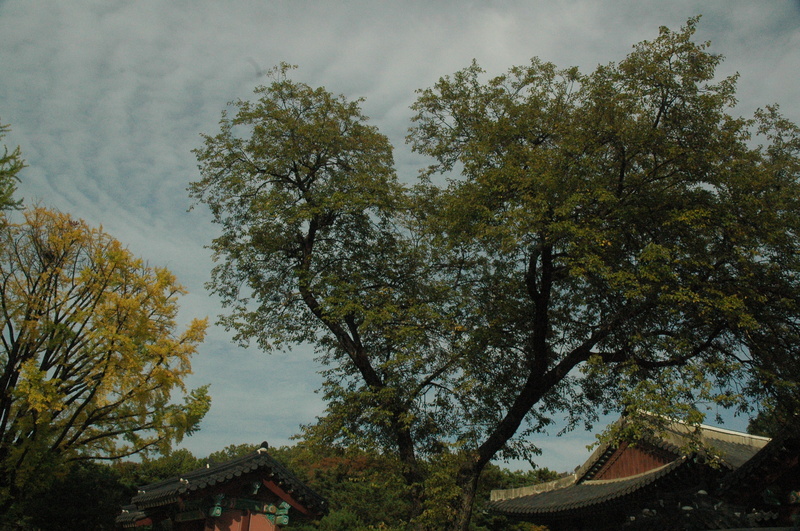 Two weeks ago I visited Changdeokgung with my friends – Monica, Brent, and Emily. I had been saving this palace for fall, as the pictures I had seen taken of it during this time of year were breathtaking. 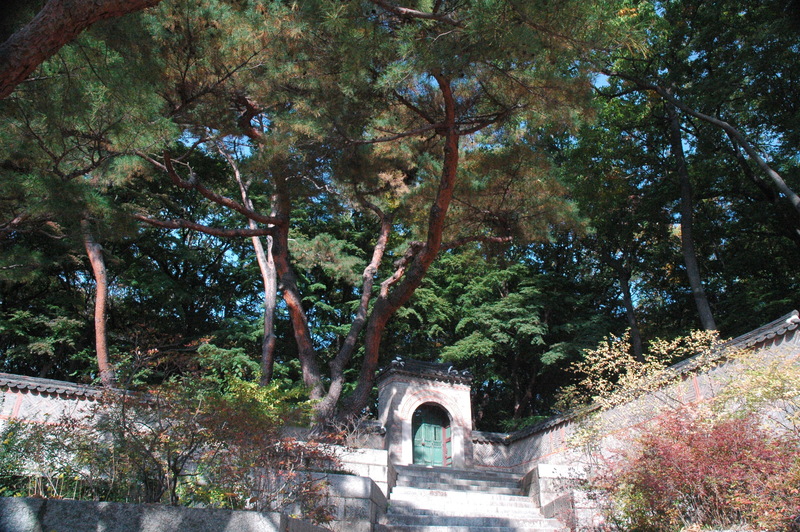 The Secret Garden, a secluded area once reserved for the royal family, is located behind the palace buildings. You can only visit the Secret Garden with a tour guide – English tours are at 11:30, 13:30, 14:30, and 15:30 (this one is only available February through October). We would have joined any of the 90-minute tours (Korean, English, Chinese, and Japanese), but all of them were sold out by the time we arrived. If you would like to see the Secret Garden, go and buy a ticket early. 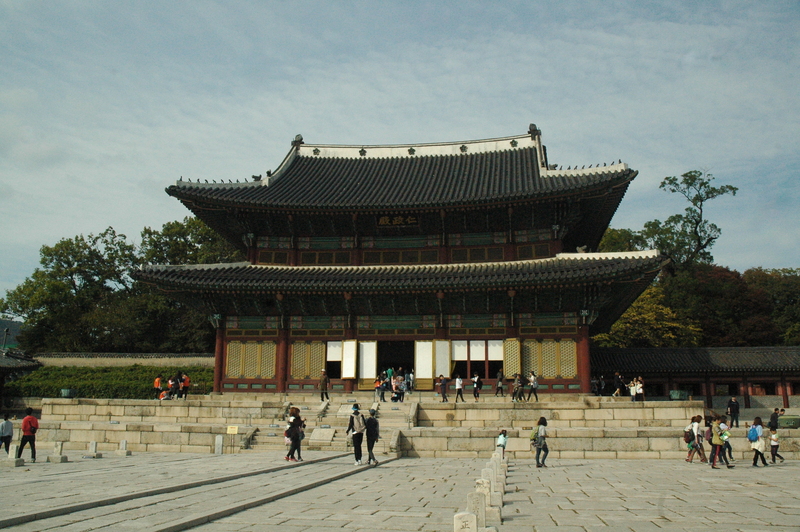 Changdeokgung Palace, a UNESCO World Heritage Site, costs ₩3,000 ($2.60) for adults and ₩1,500 ($1.30) for youth. While standing in line, the most adorable little boy came up to Brent to say hello. He shook Brent’s hand and boldly began chatting. We were all floored by his bravery and willingness to practice English. After entering the palace grounds, we walked straight to the site for government offices, Gwolnaegaksa. Monica and Brent had visited Changdeokgung before and Emily had the informational pamphlet, so I believed them when they told me we were at the “royal bathrooms.” We took friendship pictures in front of Gyujanggak, the royal library, and then passed the Old Seonwonjeon Site. It was here that ancestral rites were performed and portraits of former kings were enshrined. Many passageways had signs warning people to watch their heads. At 5’2″, the signs clearly did not apply to me. Next was the throne hall, Injeongjeon, where coronations and receptions took place. It was here that Monica came up with the brilliant plan to “teach Emily how to say ‘thank you’ in Korean.” Instead of telling her the proper term (kamsamnida – 감사합니다), we told her to say “bathroom” (hwajangsil – 화장실). We tried desperately to get her to say it to people, but she kept forgetting the word. As language teachers, we feel as if we failed. We then admired the Seongjeonggak Area, the crown prince’s living quarters. 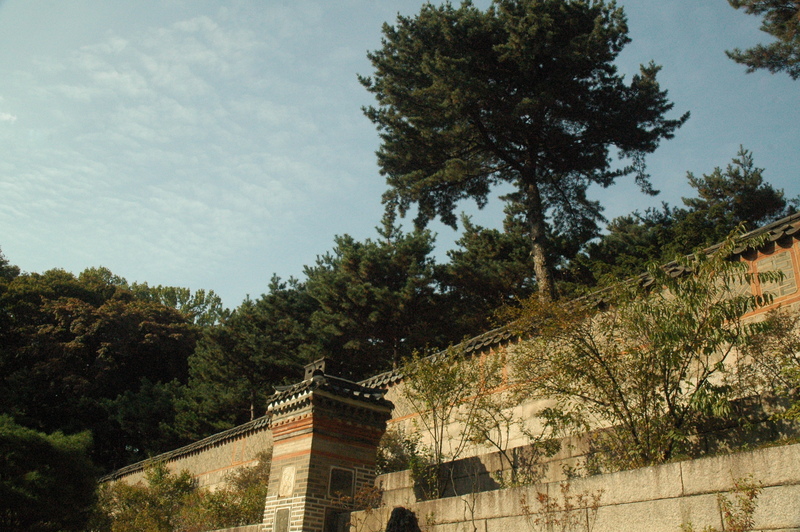 Although Seongjeonggak was originally used as the study, it became a royal hospital during the Japanese occupation. 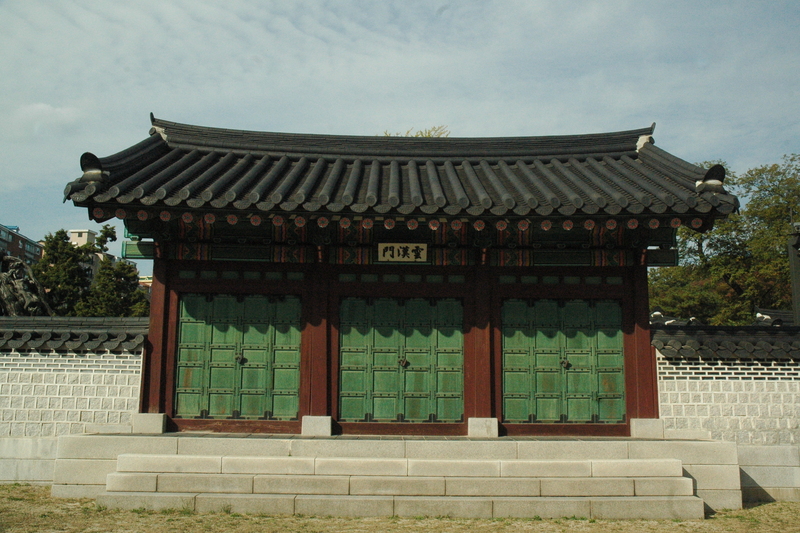 The hexagonal pavilion of Samsamwa was probably my favorite building in Changdeokgung. 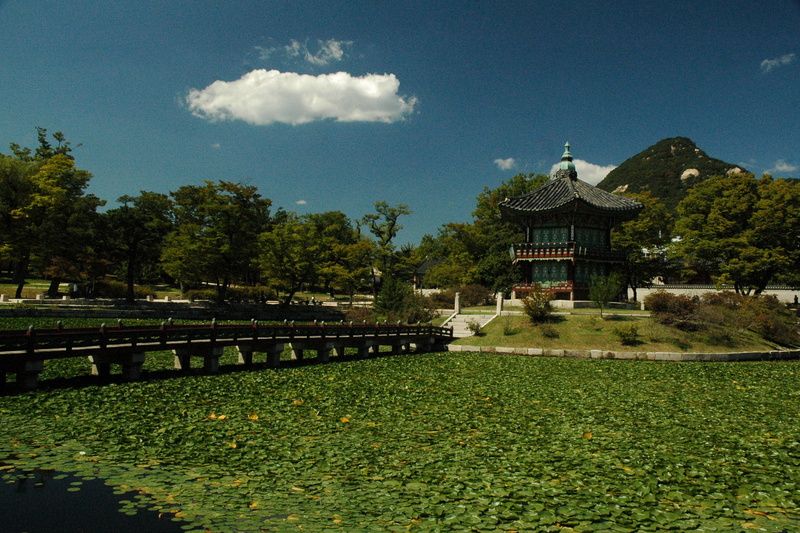 I suppose I am fond of pavilions as Hyangwonjeong was my favorite part of Gyeongbokgung. Next we walked around Huijeongdang – the king’s bed chamber, Seonjeongjeon – where the king dealth with state affairs, and Daejojeon – the residence of the queen. 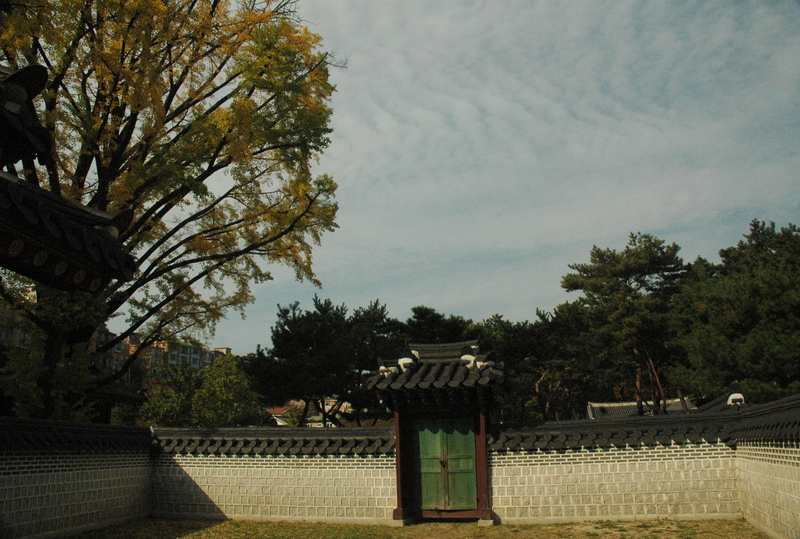 Although many reconstructed buildings resemble the original ones, Huijeongdang is completely different as “the interior is outfitted with western features such as wooden floorboards and carpets, glass windows, and chandeliers.” Seonjeongjeon, which used to house ancestral tablets, stands out as it is the only building that a blue-tiled roof. 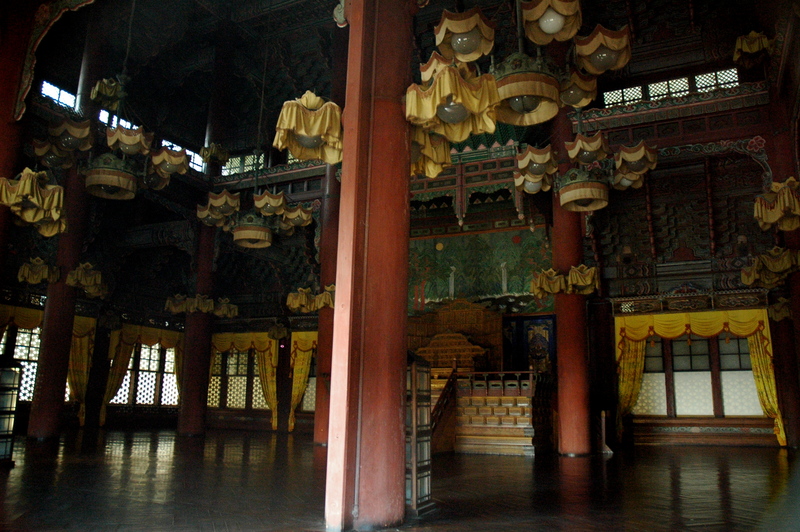 Lastly, Daejojeon still has the last king and queen’s bed chambers inside. If you cannot tell by now, my love for informational booklets will never die. I had planned on going to the Secret Garden today, but the weather has been atrocious. I fear that I will not be able to capture the beauty of this garden this fall, but maybe I will go on a snowy day in winter! Wow, you moved on to South Korea! Quite a change from Budapest, I imagine. The Palace looks like a serene place to spend a day. Love the vibrant colors. I bet they really stand out in winter.